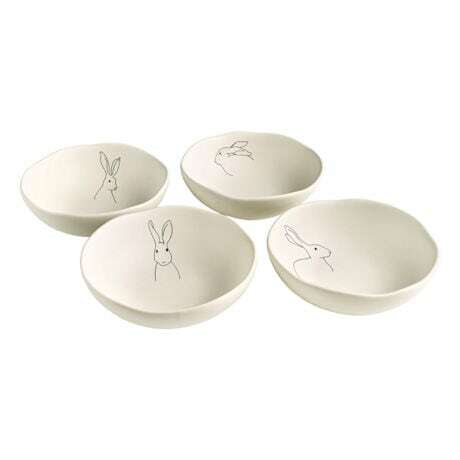 Just the right size to cradle in the palm of your hand, organically-shaped bowls feature four different drawings of rabbits, like ink sketches drawn with a fine pen. Smooth stoneware, each is 4" diameter, 1" high. Dishwasher, oven, and microwave safe. You might use them for nuts, candies, dips, or sprinkles. Set of 4.